How Paging Coasters work | Michael Hirsch, Ph.D. Visiting a large popular museum, they handed out coaster pagers as came into vogue in the early 2000s. I looked at the FCC ID QBTLTK-P1 while waiting. This is a 4kHz 1200 baud FSK system running on 26.995 MHz with a 2 Watt transmitter. The coasters have a loop antenna with about 2.5uV sensitivity, so perhaps 25 m range in good conditions. The relative insensitivity of such a small antenna and high pager transmit power work against the high levels of interference at the pager frequency. I wondered why they would use such a low frequency and hence low efficiency antenna for the coaster size. Since the companies now use 400-500 MHz for these coaster pagers, where you can easily get an efficient quarter-wavelength PCB antenna, I would assume it was because the pagers were over 10 years old. A decade ago there were all-in-one Samsung S1T8513A chips available that could receive up to 50 MHz. They wouldn’t want to use 49 MHz, as the 10000 uV/m -> -15 dBm transmit power vs. 33 dBm transmit power at 27 MHz would heavily favor 27 MHz in this application. Due in part to narrow RF channel bandwidth, 27 MHz products were known for poor security, specifically keyboards and mice. An adverse party with a large antenna could detect the 27 MHz signals for blocks, and weak/no encryption was a problem. An encryption problem also affects 2.4 GHz products, including unpatched Logitech Unifying receivers. We don’t always need frequency hopping or direct sequence spread spectrum for simple tasks like paging, but it does behoove the system designer to pick a frequency where the pager receiver antenna will be efficient for the pager size. 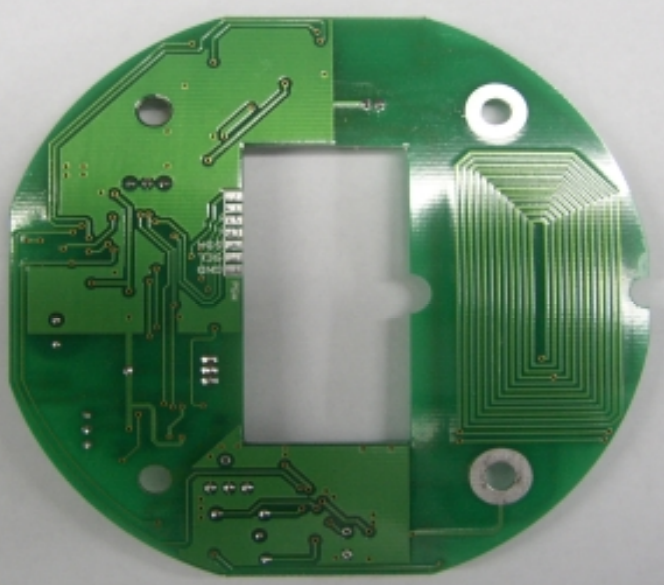 For coaster pagers, 450MHz band is a good choice, and the friendly ~ 5000 uV/m ~ -20 dBm power limit on UHF license-free transmission under FCC Part 15.231 leads to ~100 m pager range, using simple POCSAG modulation and hence commodity chipsets. In summary, you want an efficient antenna in a pager. Select a frequency where you don’t have to use loop antennas at a tiny fraction of a wavelength. Then you can use license-free power levels and get excellent range. You also want interference-free frequencies (here, we’re talking about broadband noise like from PCs and lighting). 27⁄49 MHz are terrible choices in modern times for pagers, baby monitors, etc. due to interference. Pagers at higher frequencies like 150⁄450 MHz can be simple, cheap, and long range–the extreme example are the fire pagers, say Motorola Minitor that had 20+ km range from powerful licensed base station transmitters.